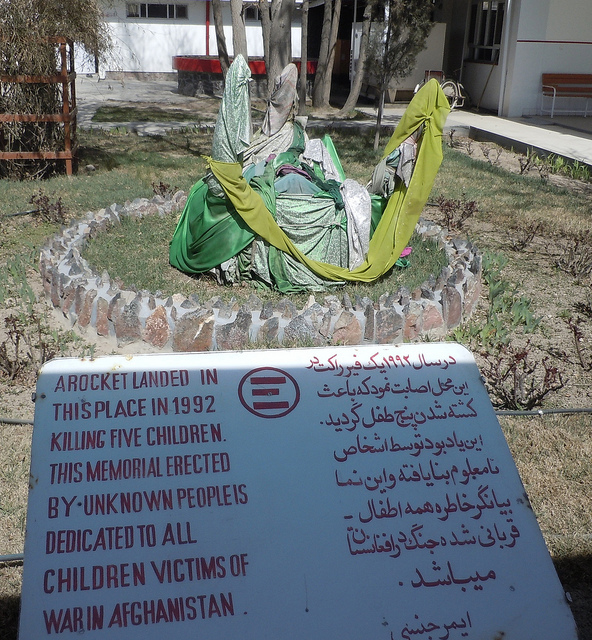 I was taken aback to find the Emergency Surgical Centre for War Victims an unexpected place to find some peace and healing in Kabul – a desolate urban landscape battling pollution, abandonment, and entrenched human suffering. Inside the walls of the hospital, some of the few in Afghanistan that are not laced with barbed wire or maintained by armed guards, budding trees and green grass offer a glimpse of what Afghan life must have been like before thirty years of war. Unfortunately – and this is the way things seem to be in Afghanistan – to enjoy this peace of mind and serene oasis you must be a victim of war. EMERGENCY is an independent and neutral Italian organisation. EMERGENCY provides free, high quality medical and surgical treatment to the civilian victims of war, landmines, and poverty. EMERGENCY promotes a culture of peace, solidarity, and respect for human rights. Emergency’s philosophy and, more importantly, consistent commitment to provide medical care to victims of war and poverty without distinction provide both an urgent, life-saving resource in the immediacy and a moral compass orientating us toward a future without war. Emergency, at least in its 12 years in Afghanistan, has been able to treat Afghans from all sides of the multi-faceted conflict and its untold numbers of innocent bystanders – 90% of the victims of conflict are civilians – without being the target of any attack or kidnapping. This speaks volumes of the power of nonviolence and the commitment to recognize the humanity of all people. For Emergency, its best protection to continue their work for themselves and their patients is found in its universal commitment to care for the human person and community. If only all the organizations in Afghanistan – non-governmental and governmental – shared a similar philosophy and commitment for care and peace, the endeavors for a world without war would make much more progress. This is a powerful picture, Jake. I was shocked to read that 90% of war victims are civilians; keep up the good work sir. Also, Derek Jeter certainly would approve of Emergency’s efforts.